Order Your 2019 Calendars Now! A big thank you to all who submitted photos of your Lagotti for the official 2019 LRCA calendar. We have lots of great images for you to enjoy throughout the year and are including as many different dogs as possible. The regular cost of the calendar will be $19.95 (postage included) for domestic orders, and $23.95 (postage included) for international orders. Order 6 and save $6.00! Order 12 and get a free calendar! Domestic orders received by December 10th should arrive in time for the holidays. Support the LRCA and place your orders now. Visit the Marketplace for other Lagotto items! 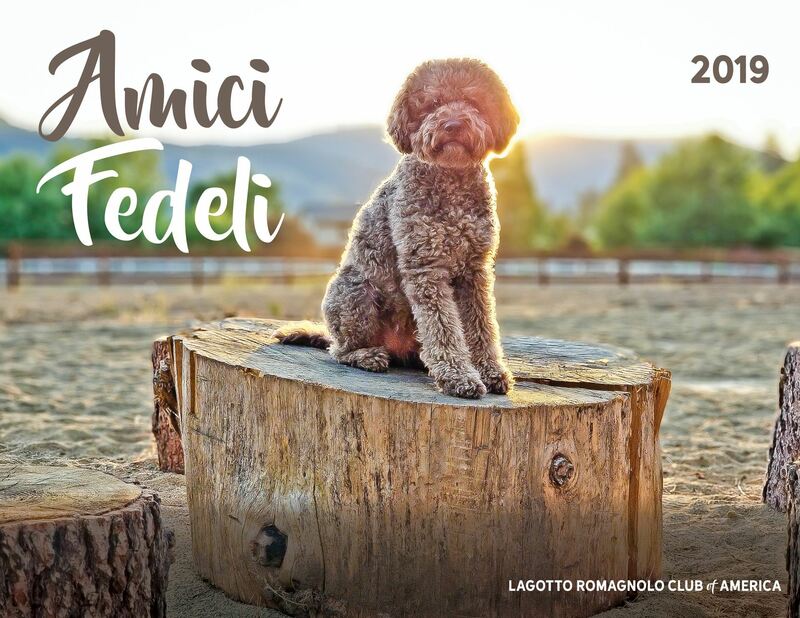 Lagotto Romagnolo Club of America, Inc. Image is an unregistered Service Mark and may not be reproduced. No images or text may be copied without express written consent of LRCA, Inc. Copyright © 2017 Lagotto Romagnolo Club of America. All Rights Reserved.